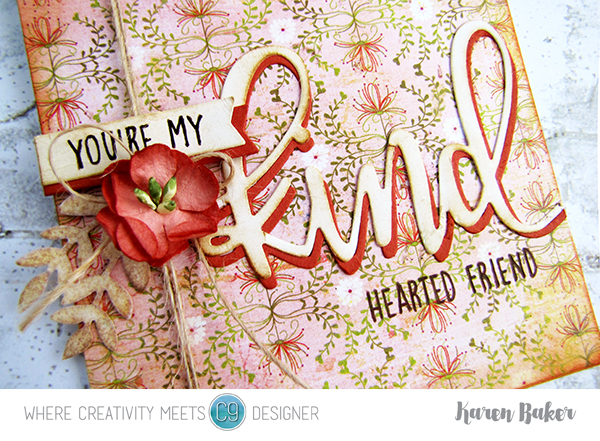 Throwing it back, ya'll, patterns, inked edges, paper flowers and the amazing Concord & 9th Kindhearted Stamp Set and Kind Card Frame Add-on Die. 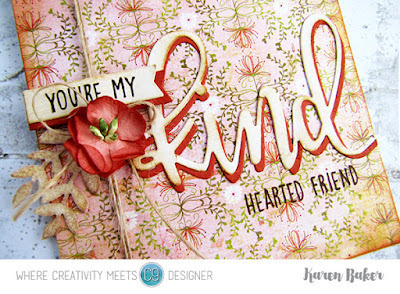 I have a solo post up over on the Where Creativity Meets C9 Challenge Blog today with this vintage, layered card for the latest challenge: Challenge #10: Layers. There's still time to play, you have until June 29th and we'd really love to see your amazing projects featuring Concord & 9th products! Sweet card. I like the background and die sentiment. I have this and never used it.. hum. thanks for the inspiration. The twine and flower is great touch.